As promised, today I am featuring an excerpt from the book I'm currently working on, The Blood of Arèthane. 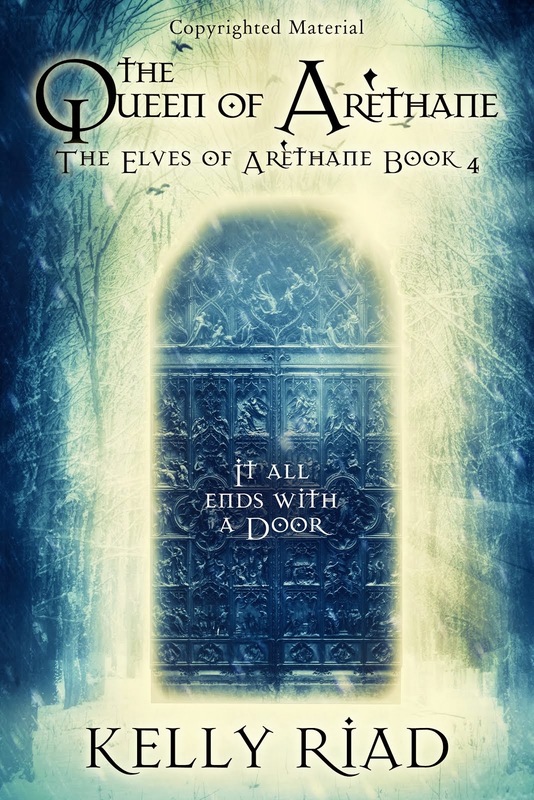 It's the third in my Elves of Arèthane series and picks up immediately where the last left off. 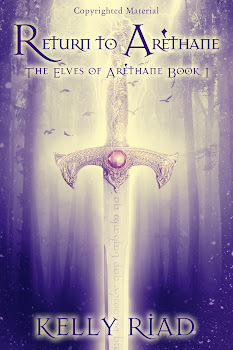 If you haven't read the first two, Return to Arèthane and Prince of Arèthane, you should probably stop, not read further, and instead go to Amazon.com and download those two first. Don't spoil your dinner with dessert, you know? Okay, hopefully you've heeded the advice of the introductory paragraph of this post or have already read the first two. 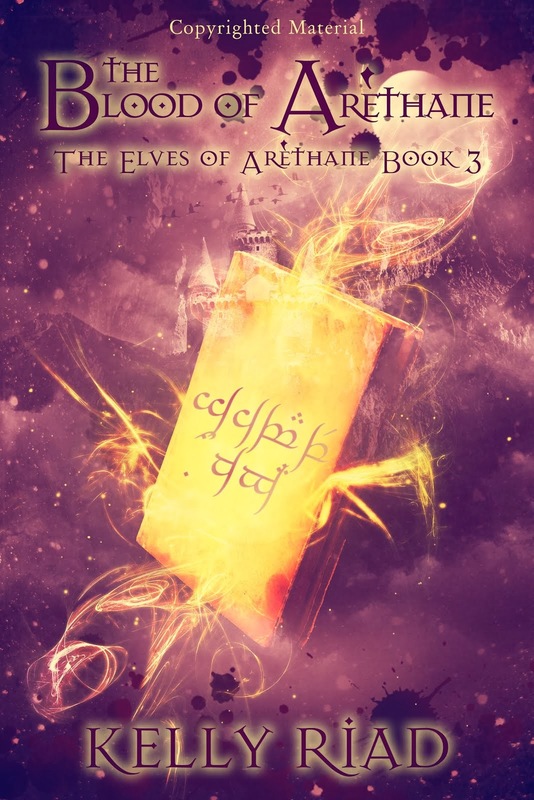 The Blood of Arèthane finds Emily and her elves battling the dark wizard, Jabari, who grows stronger and more confidant every day. 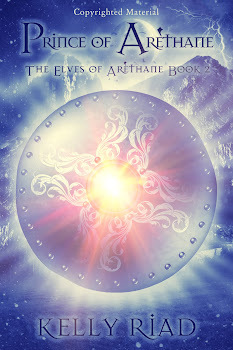 As the once-beloved protector of Arethane, Jabari was the creator of the Door system that connected and protected Arèthane and the other immortal realms from the human world. But he's now destroyed the safeguard that kept the immortals contained and they're spilling out on the human world, wreaking havoc and killing. It's up to the elves to track not just every fairy, demon and troll that has escaped, but to also still hunt for their traitorous guardian. 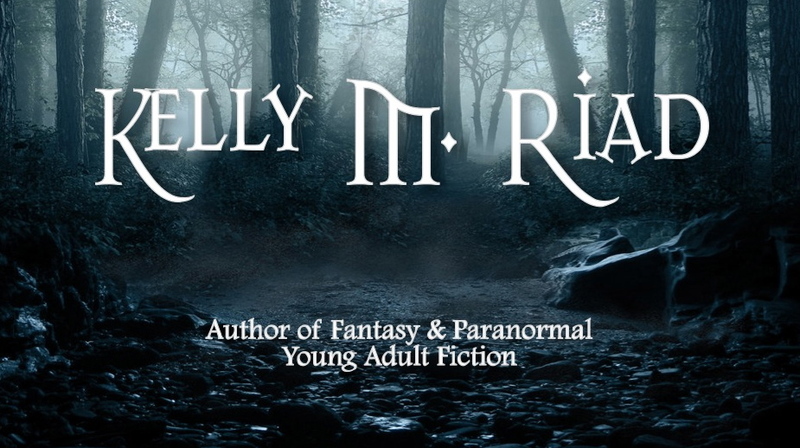 While Emily would normally not worry about her strong and fast elves, Jarrad is now mortal and his life is more in danger than ever. And here's the excerpt. Hope you enjoy it! “They’re everywhere,” Kendrick said, staring at the crowd. Kendrick looked around, gestured orders to the remaining dark elves. They broke up and vanished into the crowd. “It’s unfortunate you cannot disappear,” he said when he turned back to Jarrad, grinning. “It is a shame,” Jarrad replied, for once grateful he no longer glowed as he pulled the hood of his sweatshirt over his head, returning the grin just before the dark elf faded away to nothing and all that stood before him was empty space. The kissing fairy could wait. Jarrad knew his kind; a lower rank and less powerful creature, having to resort to drugs to aid in his human conquests. Instead, Jarrad rounded the edge of the crowd, seeing through the glamour the fairies donned. Some didn’t even bother with the disguise; their multi-colored skin, claws, and twisting, vine-like hair blending in with the costumed humans. In the center, bookended by two teenage boys, one fairy’s glamour stretched to an inch of its existence. On the outside the supposed woman was beautiful with shiny, black curls tumbling down her back, her pink cheeks flush in a bright pale face, her muslin gown clinging scandalously thin to her curves. But on the inside, her age truly showed and her age was countless, more ancient then most human religions. Her hair was sparse, clumps of it missing to expose her gray, wrinkled scalp. The plump cheeks on the outside sagged like melting ice cream on the inside. Most of her teeth were missing, those that remained rotted and mossy, sharp and green. Her clothes weren’t pure white muslin but tattered, brown burlap. And she was drenched. Had the boys really looked, they would have seen the water pooled beneath her bare, glamoured feet. Her glamour impeded her eyesight—the big eyes a mask to her true vision. Jarrad knew she wouldn’t be able to see him. She wouldn’t know him until she removed her disguise. “Such a demanding young boy.” She smiled and ran her hand up his arm. It took everything in him to not jerk it away. Jarrad opened the back door, using a nearby chunk of concrete to keep it propped open, and led her out into the alleyway. Her face ignited with fear, soon retreating to fury. “The elf Prince!” she cried. 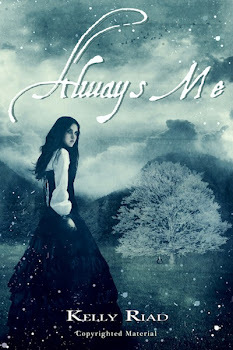 Before she could move, Jarrad waved his hand again and iron shackles appeared around her wrists, sizzling on contact with her skin as they bound her hands together. Her shrieks pierced the night, rising above the city din. Dropping to her knees, her eyes oozed green, slimy tears. “I’m sure you’ve engorged yourself plenty at the cost of many human lives,” Jarrad answered. “And don’t be so dramatic.” Turning to the brick wall opposite the side of the warehouse, he spoke the words to open the door. The wall grumbled and shook; the litter on the ground nearby jostling as the brick wrenched apart, the door forming in its tear. It was not the same as the entrance in the Chinese restaurant. The brick didn’t transform into an actual door, but rather looked like a gaping cut in the wall, bright light streaming from the other side. Aerath stood behind the opening, his hand on the hilt of his sword, a placid smile on his face. Bean-Fionn screamed again at the sight of him and began to crawl and slither on the dirty pavement, a slow attempt to escape. “Can I leave her to you?” Jarrad asked him. Still smiling, he nodded. Retreating back through the exit door, Jarrad left Aerath laughing more insults at the haggard, ancient fairy. If any of the other fairies inside had an indication of what was happening, none of them let on. The dark elves could not be seen, though the crowd did look like it had been thinned of freaks of another nature. However, Jarrad also saw that there were more than just fairies. Several dwarves and nixen mingled, luring young girls toward rooms quartered away from the main dance area, covered with velvet curtains for privacy. He had just pushed his way toward a nixen with pale, silver twigs growing from his white scalp taking a pink-haired teenage girl by the hand to one of these rooms when a loud voice stopped him. Frowning, Jarrad turned around, looking for the source of the sound. This was not what he needed. “What are you doing here, Shelly?” he asked the blonde swaying clumsily before him, the heels of her shoes too high for how intoxicated she was. “Whatever. Anyway, he didn’t even show up. NOT that I was wanting him to or anything. Not that I cared.” She rattled on as only Shelly could. Jarrad had never known a creature who could talk as much as Shelly did. Even inhibited by alcohol, her tongue flapped unhinged. “Shelly, you shouldn’t be here,” he said, finally cutting her off. “No, you shouldn’t be here.” Her eyes flashed in a moment’s clarity before it quickly passed. “And who was that girl you were with? Does Emily know where you are? Should I call her?” She looked down at her cell phone, oscillating while she tried to focus, her face blue-lit from its digital light. Jarrad took her by the arm and pulled her aside behind a pillar. There he took both her arms and forced her to look up at him. It was difficult trying to gain a hold of her gaze to let the enchantment flow, her head bobbing, her eyes floating in alcohol. “Shelly, look at me,” Jarrad demanded, his patience running out. Suddenly a bulk of the crowd stopped dancing, stopped whatever else they were doing and looked up. He did wish for the ability to be invisible in that moment. Because they saw him. And then they knew him. “Damn it,” Jarrad muttered before the cries and shouts of fear rang out as the fairies abandoned their mortal pursuits, rushing for escape. Every dark elf appeared, looks of frustration on each of them. Then the humans screamed as the fairies’ glamour fell, revealing the gruesome truth behind the false beauty. Knowing tact was a dream of the past, Jarrad flew into action.